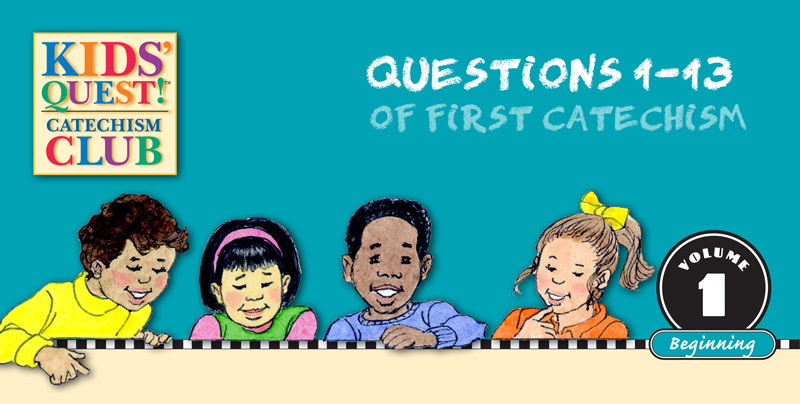 Welcome to Beginning Kids’ QuestCatechism Club.Using accounts from the Bible of God’s work in the world to help the children understand God’s character and abstract theological truths, Volume 1 covers the first 13 questions of First Catechism. Music, games, art, written activities, and a lot of repetition reinforce the teaching and help the children memorize the answers to the catechism questions. Volume 1 is divided into three units of four lessons each. The first unit, Creation, covers questions 1–5 and teaches the children that God made the world and everything in it when there was nothing. 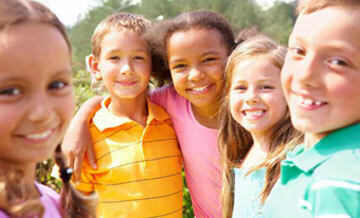 They discover that God made every one of us just as he wanted us to be, and that he wants us to love and obey him. The second unit, The Trinity, covers questions 6-9 and children learn that there is only one true God and we are to worship him alone, taking care not to let other things become more important to us than God. You will find that children readily accept the truth that God exists in three Persons: the Father, the Son, and the Holy Spirit. Through listening to Bible stories, they see that each Person of the Godhead is fully God and has particular work to do in the world, especially in the redemption of sinners. The third unit, God (questions 10–13), focuses on the nature of God. The historical accounts of Peter in prison, Achan in Jericho, and Daniel in the lions’ den demonstrate to the children that God is everywhere, he knows everything, and he can do anything he wants to do. Such great theological truths provide comfort to those who love him. A recurring theme in all three units is God’s love and care, which are supremely expressed in his provision of redemption through Jesus Christ. Our ultimate goal for each student to have a personal relationship with God through Jesus Christ and grow to love and trust him with all his or her heart, soul, mind and strength. As we study and teach these great truths from Scripture, may we also grow in our knowledge of God and his grace.